There are 7 people listing GREECE as their place of birth in this Ancestry.com database. I have transcribed their names and listed them below. 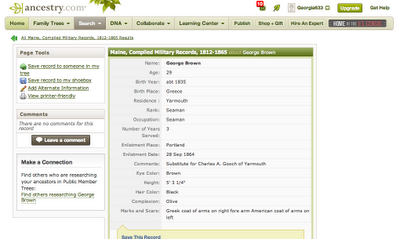 If you do not have a subscription to Ancestry.com, most U.S. libraries offer access for FREE. 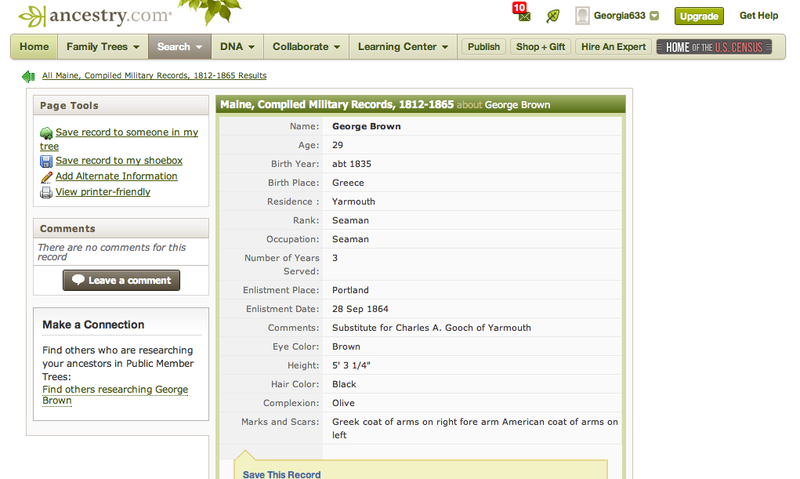 This database contains an index extracted from various Maine military records from the War of 1812 through the Civil War and Civilian Conservation Corps (CCC) records from 1937.